Prisoners were treated like “test subjects” as personnel, including medical officers, engaged in experiments to develop new interrogation techniques. Numerous detainees were drugged upon arrival to help interrogators break them. One prisoner, Mohammed al-Qahtani, was treated like a “lab rat” and monitored closely by medical personnel to determine if his body could continue to be tortured. The report was first covered and published at VICE by journalist Jason Leopold. It is based on unclassified government documents and statements from government officials and military personnel and co-authored by Joseph Hickman, a former Guantanamo guard. The report not only makes the case that the torture techniques developed through experiments to “exploit intelligence” were exported to other facilities, such as Bagram and Abu Ghraib, but also highlights the disturbing reality that medical personnel were involved in “human subjects research” and conduct that likely constituted crimes against humanity. It is highly unlikely that mefloquine was used for malaria. Much more possible is that military personnel were aware of the side effect and wanted them to occur in prisoners so they could modify their behavior and use the drug to aid in making them compliant. Two psychologists and one psychiatrist were a part of BSCT. Their mission was to monitor detainees’ behavior during interrogations and detention. They were to develop “psychological operations.” In some cases, they “simply made up” some of the torture techniques that were used against prisoners. The medical personnel would check his kidneys. 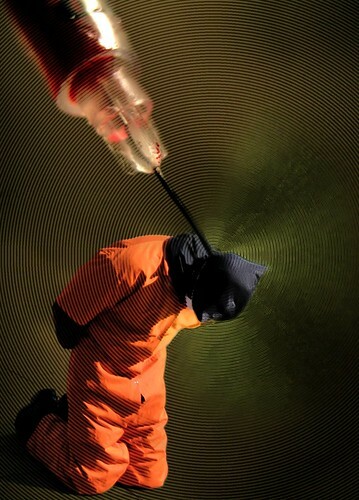 If they were not failing, the torture could continue to be administered. Personnel would sometimes take al-Qahtani’s pulse multiple times in a day. Once medical personnel took his pulse and it was at a safe level, al-Qahtani could be said to be okay for another session of experimentation. Al-Qahtani was subject to developed “enhanced interrogation techniques” as early as November 23, 2002, but it was not until December 2 that Secretary of Defense Donald Rumsfeld officially approved any of the methods used. There were even “military working dogs” brought into the room with al-Qahtani during sessions, something the FBI objected to but Joint Task Force Guantanamo personnel ignored the agency’s objection and urged them to act like the “guests” they were. “Dietary manipulation, environmental manipulation, sleep adjustment, presence of military working dogs, sleep management, yelling, loud music, light-control and stress positions” were all techniques that were adopted by the leadership at Bagram and Abu Ghraib. And, while the Air Force, Army, Marines, Navy and FBI had raised objections to a memo adopting more severe “enhanced interrogation techniques,” Joint Task Force Guantanamo did not hesitate to employ them. “The FBI reported numerous interrogation techniques exploiting psychological weaknesses and preying on the detainees’ Muslim faith. These interrogation methods would be seemingly stopped by Secretary of Defense Rumsfeld in early 2003, only to be renamed and repackaged” for approval by the Secretary of Defense after the spring of 2003, according to the study. This study contains a glaring example of Qahtani being subject to research without his consent. He does not consent to the drugs he is being given at all. There are many more personnel who are likely guilty of being involved in such criminal activity, as evidenced by the fact that leadership recognized they needed to conceal conduct from the Red Cross. Part of this awareness stemmed from advice being given by the CIA, which was involved in its own criminality as it operated a secret detention work where kidnapped terrorism suspects were brought to black sites and tortured. Zero officials in government or the military have been held accountable for this barbarism. Instead, President Barack Obama’s administration has done everything it can to “move forward” without “looking back,” a policy that has helped war criminals escape justice, ink book deals, appear as experts on various television programs and obtain prestigious jobs at universities, where they can shape the impressionable minds of students and defend their past conduct as not torture.